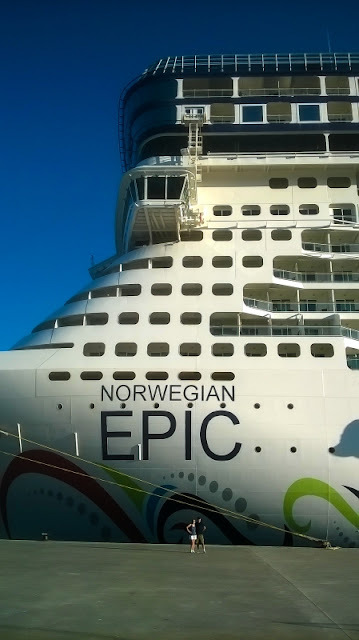 Back from our first NCL experience on the EPIC and compared to the HAL Ryndam last year this is a big beast of a ship. Initially that did worry us but in short this ship was superb. Loved the restaurants - we ate twice in Cagneys and twice in Bistro and once in the MDR. No faults at all, you really felt like you were out for the night in a restaurant rather than visiting the canteen. Never been a big fan of Lidos or Buffets but the outside eating area was big and it was sunny and warm enough to use practically every day. Entertainment was excellent though cut down a little due to this being a one off cruise before the ship moved to dry dock for three weeks. Special mention must go to the Beatles and Crystal Blue who performed with energy and made each performance special. The Burn the Floor main attraction was good but it just seemed a bit clichéd. The cabin was excellent (we went for the mini suite) - and Cheldon took good care of us all week. When we accidentally left the door set on 'do not disturb' he sorted us out to collect the laundry so we would get it done in time. 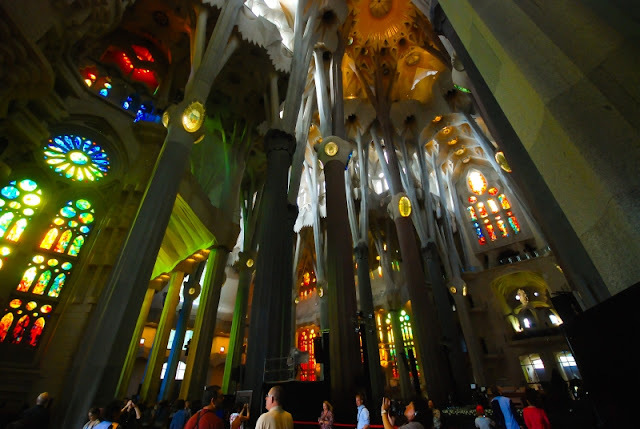 After a night in Barcelona which coincided with a festival and a morning visiting and climbing the towers of Gaudi's Sagrada Familia (our legs ached for two days) we boarded efficiently and were on deck soaking up the sun, having lunch and riding the tubes. Fortunately this cruise did not clash with any school holidays so the boat was quite child free. Dinner that evening was in Cagneys Steak House. 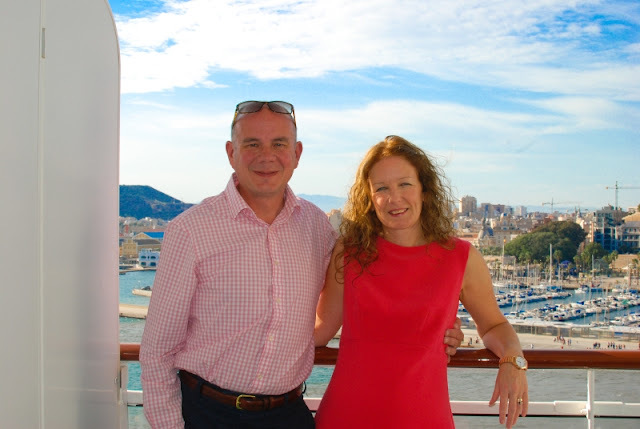 Our last experience of eating on a cruise had been the Main Dining Room last year on HALs Ryndham - food was ok but the vastness of the multi level dining room (even though the Ryndham is a comparatively small ship) creates a rather poor ambience and the service was erratic. 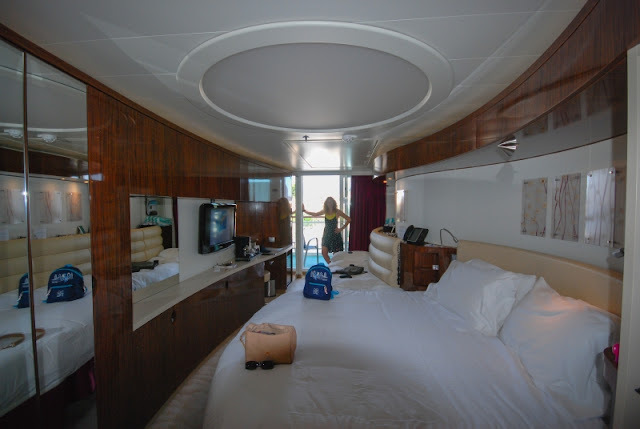 On this cruise we had received an automatic upgrade that included premium dining and the difference was noticeable. Cagney's looks and feels like a restaurant. Intimate with low ceilings, dark woods and an American club type atmosphere - an open kitchen so you can see everything is cooked to order and impeccable service; and most importantly superb food and wine quality. Don't let the American term 'Steakhouse' put you off either, the fish and other meat choices are all excellent. First stop the following morning was Cartagena (Spain); an old Roman city set around a natural harbour where the Epic performed a tight three point turn to position itself. Having never visited before we followed Toms ports guides and explored the Roman Theatre, the Forum and climbed to the top of the Castle. All easily walkable and a few Euros buys you a multi venue ticket. 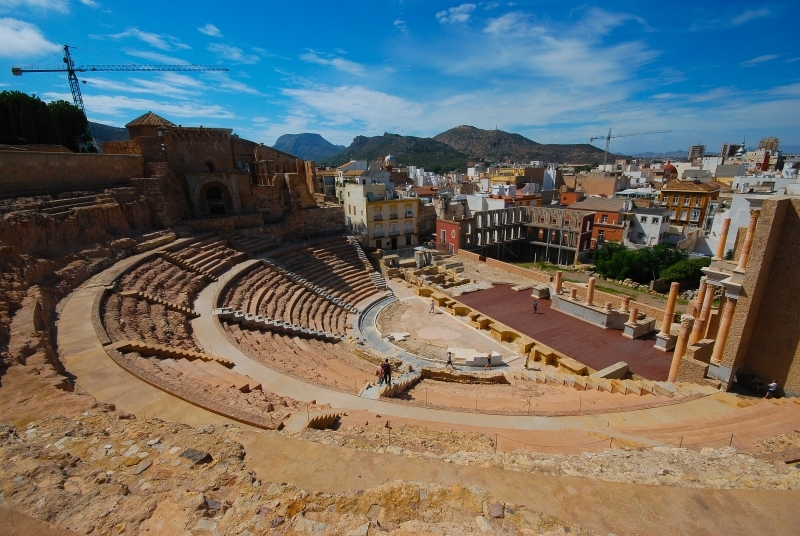 Cartagena is a really great cruise stop; it would appear that they cant dig anywhere without uncovering Roman Ruins. That evening we ate in Bistro - the French premium restaurant hidden behind the art gallery down on deck 5 or 6. Again a beautiful intimate room - delicious food, wine and superb service. I recommend in all the restaurants to try everything - if there's a starter you fancy a taste of just ask for it and nibble on a few. Just don't fill yourself up before the main course. We also watched 'Burn the floor' in the main theatre that evening. It was good, fun and performed by a professional group of dancers but I do feel the whole Ballroom dancing experience has been done to death now with the likes of Strictly come Dancing etc. The Epic was missing a main theatre show (as compensation you got free admission to the onboard Cirque Tent dinner show - more on that later) due to this being the last cruise before dry dock - when she resumes her schedule 'Priscilla Queen of the desert' will be added to the main theatre just as long as they can cut a hole in the side of the ship to get the bus onboard!! 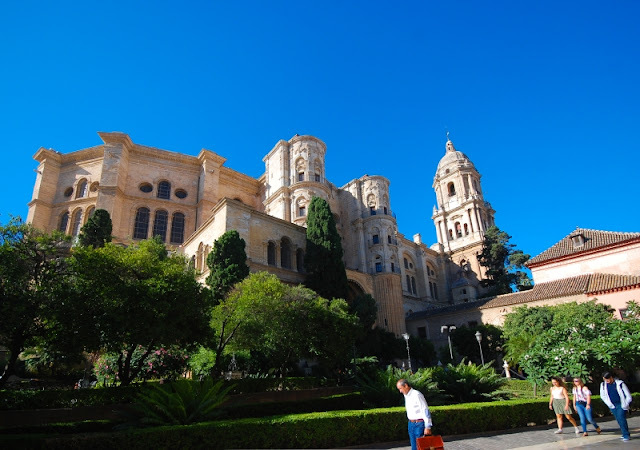 The following morning sees us in Malaga where a lot of people depart on the trip to Granada. 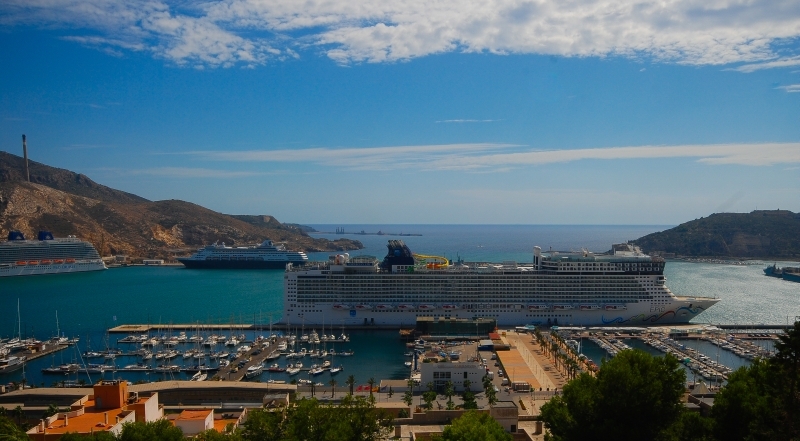 We're docked in what seems the furthest point out in the port so shuttle buses are available to take you in to town(5EU return). 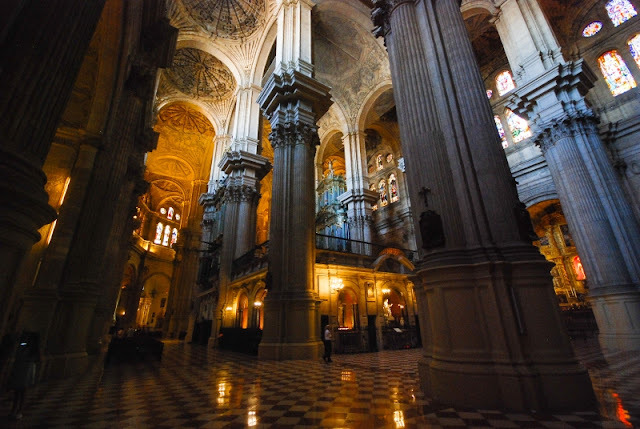 Having visited Granada and the Alhambra Palace before we decide to visit the Cathedral and the Alkazar. Its another very hot day and climbing to the top of the fortress - with legs still aching from descending the passion towers of La Sagrada on foot - is quite a challenge. In fact the heat seems to have caused everyone to return to the Epic by 1pm causing a bit of chaos for the transport back to the ship, only one bus is available (the other five are waiting empty at the ship and should have been sent back to even out the numbers). Dinner tonight is in the Spiegel Tent. To be blunt I'm glad I didn't pay for it and would rather stick a fork in my eyes than watch this again. The room is far to small for the performers to do anything of real interest other than bend into positions on a trapeze and drop clumsily for last minute catches - there's no grace in the choreography (its just repetitive body work) and most of the tricks/displays seem childish and monotonous. Its probably fun for anyone under the age of 10 but it simply doesn't work in such a confined space. I have visions of Peter Kay wheeling in from Phoenix Nights and shouting "Woah - put your gusset away love - you're putting me off my tea". There's also a clown with a whistle who really needs to have the whistle removed and placed 'where the sun don't shine'. 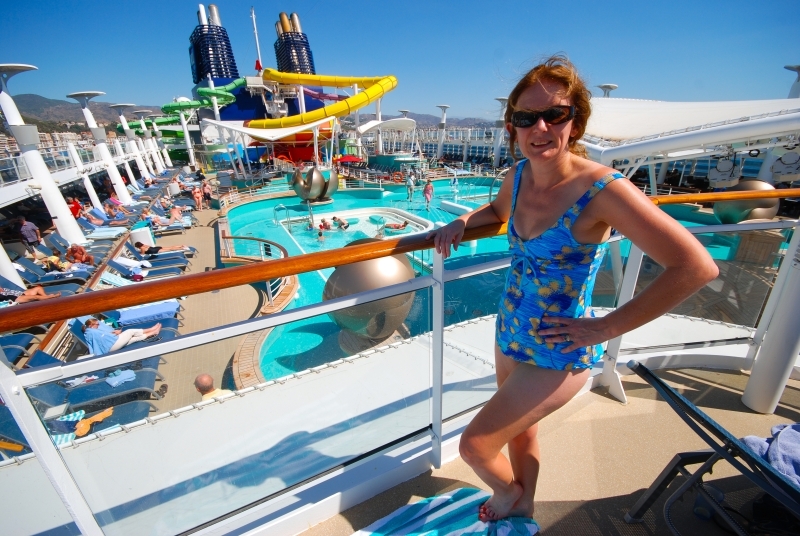 We skip dessert and head back to the deck to grab something - its till sunny and warm. 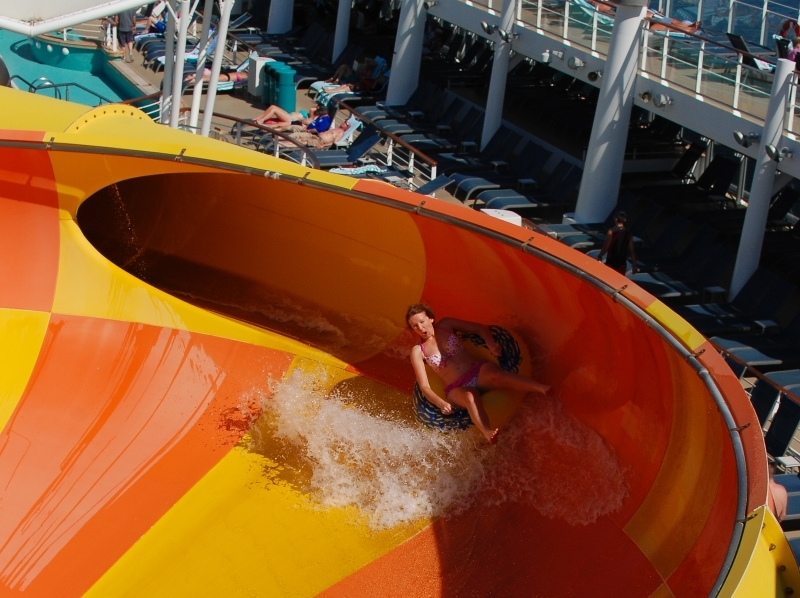 The following day sees us back on deck soaking up the sun and riding the tubes again. We're due in Lisbon in the afternoon. 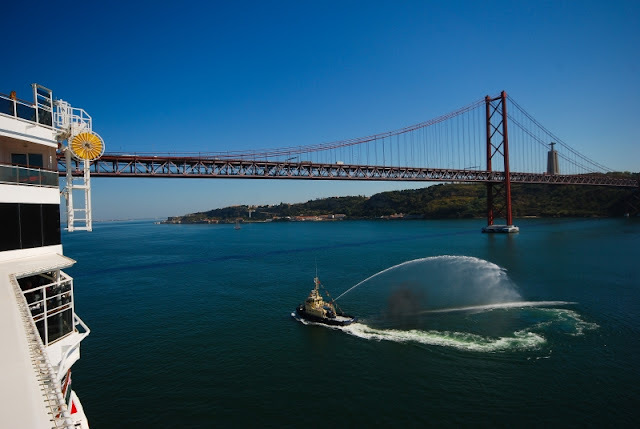 The arrival into Lisbon is quite interesting as its the Epics inaugural visit to the port; so we are joined by two tugs spraying water in salute of the occasion. There's also the slight issue of a suspension bridge across the bay that has 8m clearance - it looked a lot closer in real life. We dock right alongside the city so its a simple walk off. Lisbon is beautiful - classic squares and tiny tram filled streets. 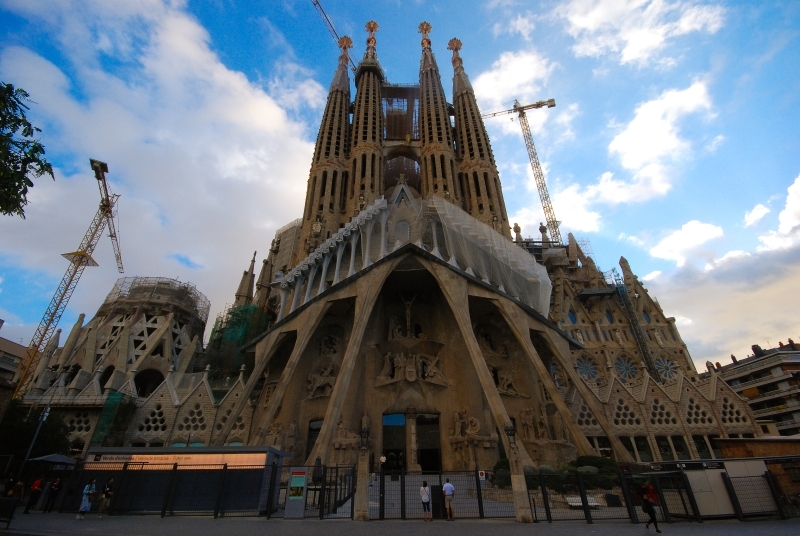 We just wander the streets, visit the Cathedral and climb to the view point. A definite must return city. We eat tonight in the main dining room - its feels quite strange that we have not used it until this point. Food is good; most importantly its served quickly and efficiently and is hot. The rooms big but not over large and its set on one level with an atrium area over a dance floor for dinner dance nights - for a main dining room its very nice. 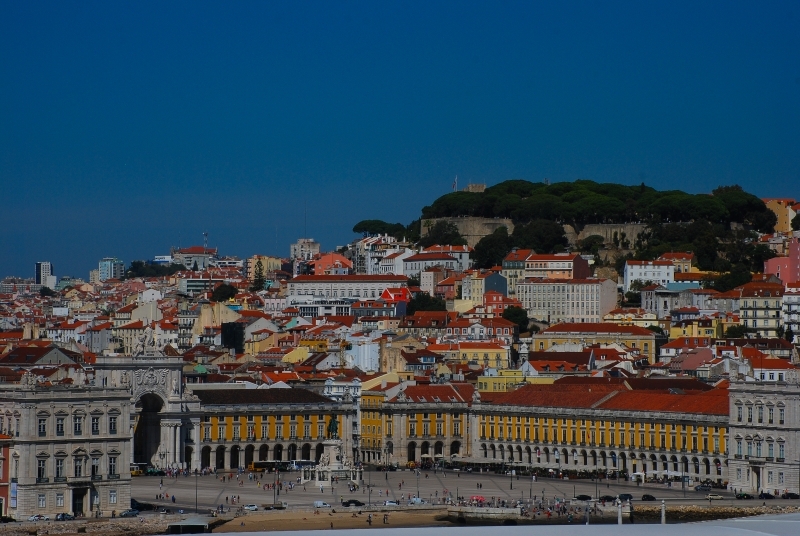 We leave Lisbon late in the evening and now have two days at sea until we arrive back home at Southampton. The entertainment is shuffled around a little so there are more afternoon shows. The Supremes Tribute play an excellent Motown set in the Headliners club this afternoon and we are lucky to have constant sun (if a little breezy) all the way back to Southampton meaning we spend the last two days on deck. Its a good enough mix to ensure the days pass easily and without boredom. We also visit more late evening shows in Fat Cats Blues club watching the excellent Beatles and Crystal Blue who keep it nice and fresh by playing varied setlists. On the last night the Beatles overrun with extra songs and are joined by the girls from the Supremes and Marissa from Crystal Blue for a last night party, the only problem is that Crystal Blue can only fit in 3 songs for their second set of the night before they have to leave and pack at 12.30am. Another mention must also go to the excellent guitarist 'Tsurita' who plays next to the Maltings bar - great voice and vast contemporary setlist. There were two odd and badly organised occurrences though - the first is that UK Border force decide to do the Passport check on board rather than in the terminal at Southampton. Trying to organize 4100 people leads to obvious chaos so we leave the line go back on deck and return in the evening when the lines have gone. 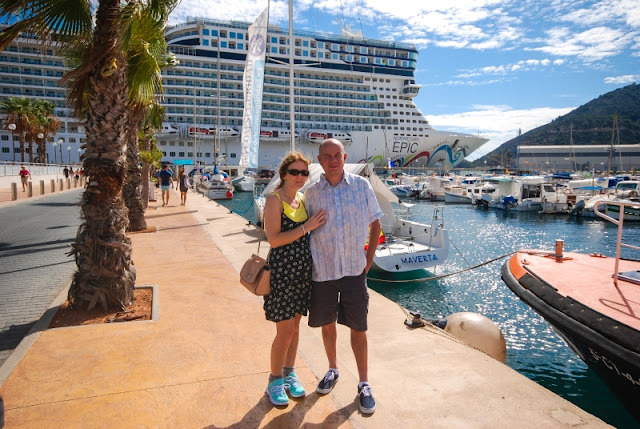 We have since learned this is not normal and seems to have occurred because Southampton had no suitable terminal available due to the cruise being a one off addition. 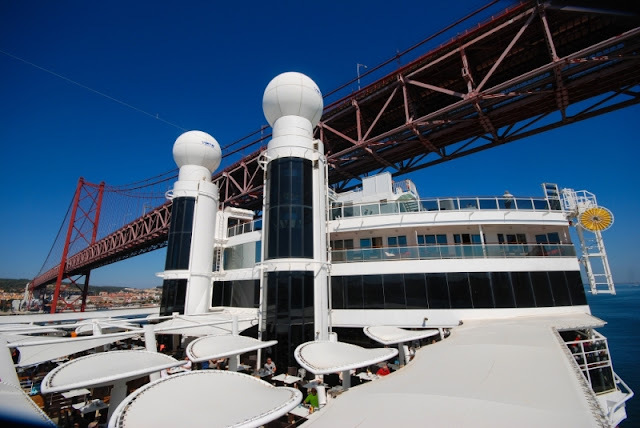 This also probably explains the chaotic disembarkation - no bridges are available so we have to disembark down a VERY steep gangways that are totally unsuitable for anyone with luggage. We're later told the bridges are broken but I suspect the truth was Southampton simply didn't have any staff to operate them and seemed to have been taken by surprise that the ship has arrived with guests onboard!! So to conclude, an excellent first experience on NCL & the Epic. 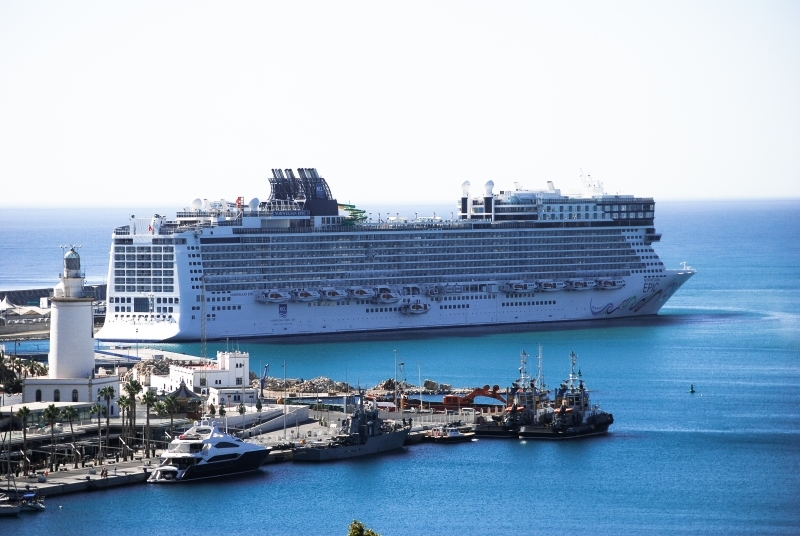 We would definitely use her again (the Tangier - Madeira route is looking very tempting). Can't wait to see what the NCL Jade is like next month as we join her out of Venice.